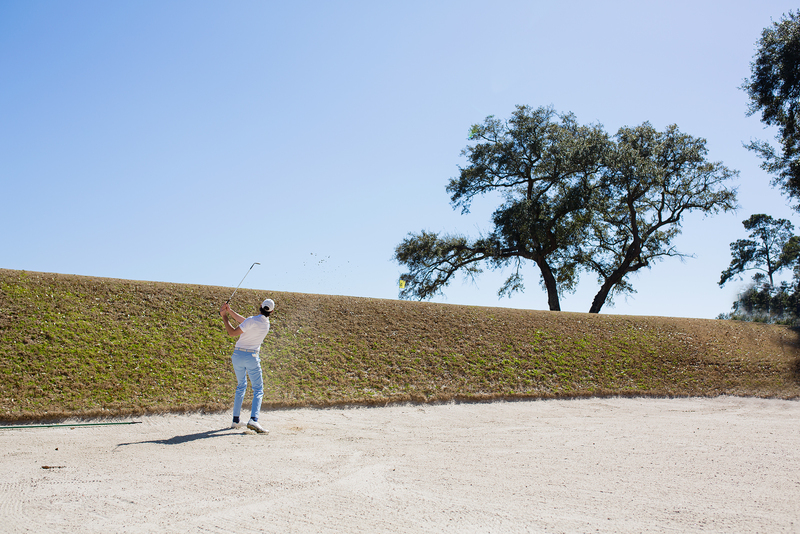 Wandering the delightful streets of downtown Charleston had me feeling miles away from a golf course. 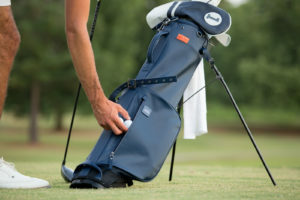 Surely it must be 20 plus miles to the nearest course, I reasoned. 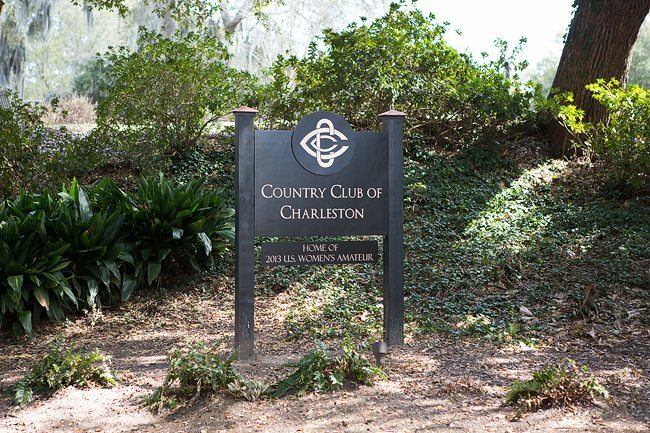 However, a mere 10-minute drive from the bustling downtown you will find the classic Country Club of Charleston. 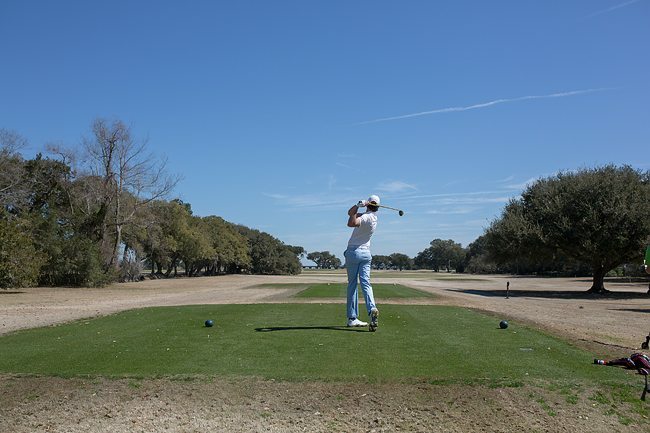 Although the course is private, if you find yourself in the Charleston area, perhaps your local club pro can pull some strings and get you on this great layout. 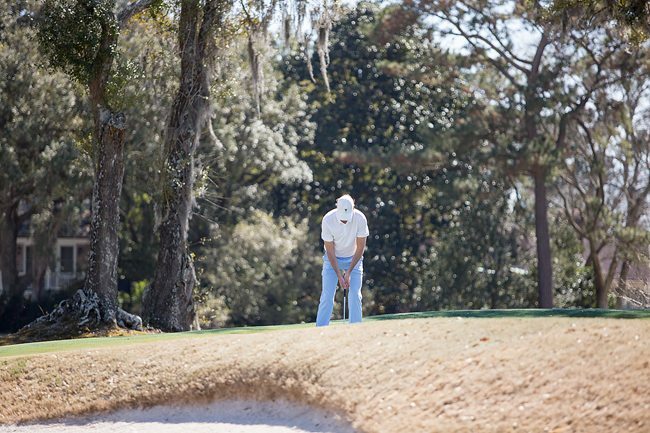 I was in town for the Azalea Invitational qualifier in March and had the opportunity to play the course twice. 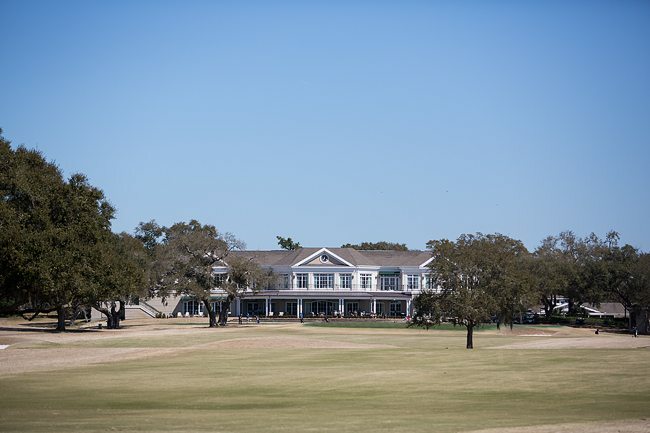 It’s certainly worth trying to tee it up here given its close proximity to downtown and the great classic design. 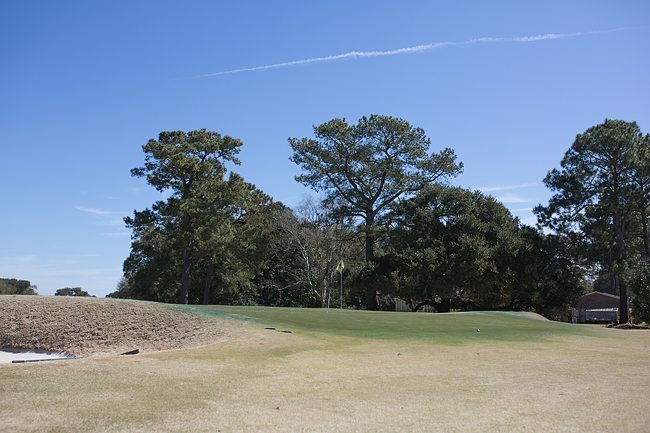 Established in 1925, the course was designed by Seth Raynor, an architect who studied under the tutelage of Donald Ross. 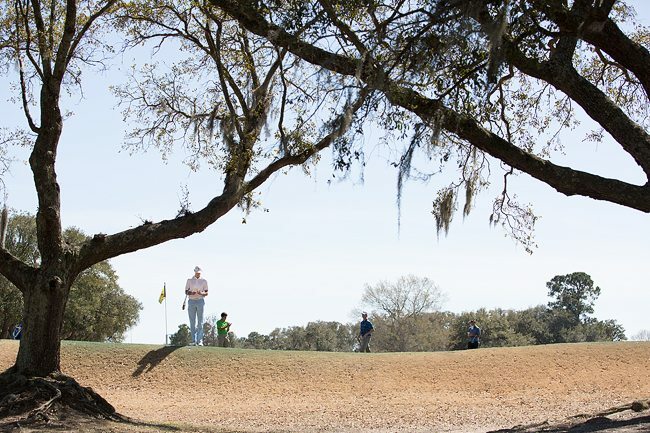 The property is a very large, relatively flat and open piece of land where many holes run alongside others. 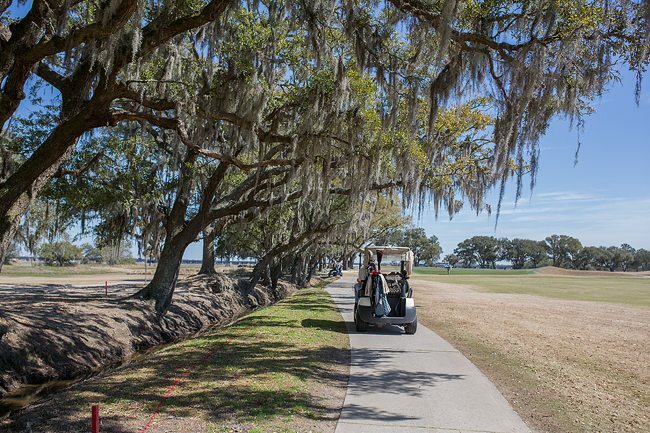 Not surprisingly, the South Carolina lowlands are ever present with marshlands and spanish moss covered trees all around the course. 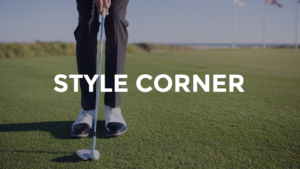 Generous fairways lend themselves to fairly benign tee shots on the majority of holes, although strategic fairway bunkering requires a modest amount of thought for the longer hitters. 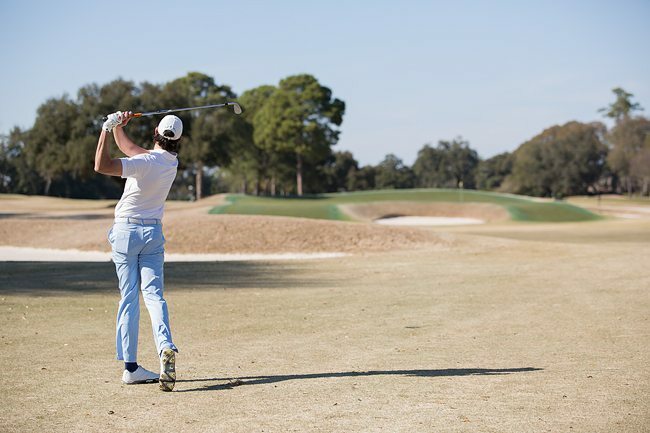 The real test starts with the approach shots given the brilliant green complexes. 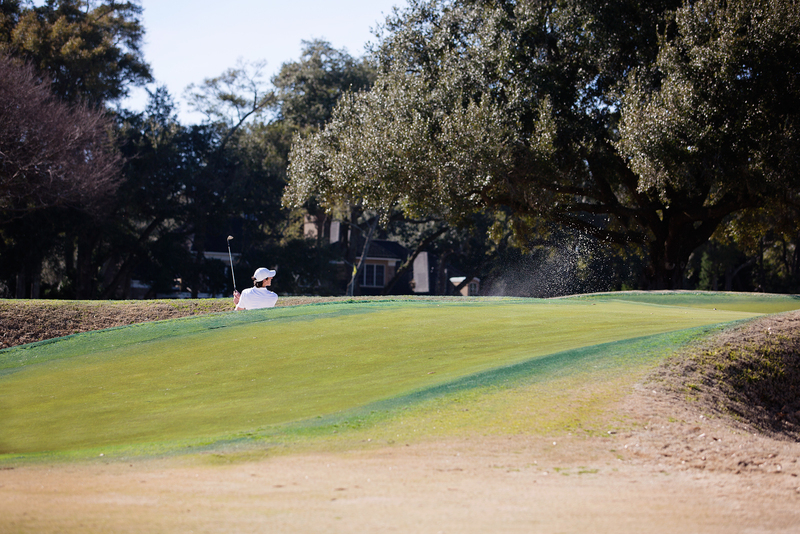 Large, undulating greens characterized by “turtle back” designs demand precise iron play. 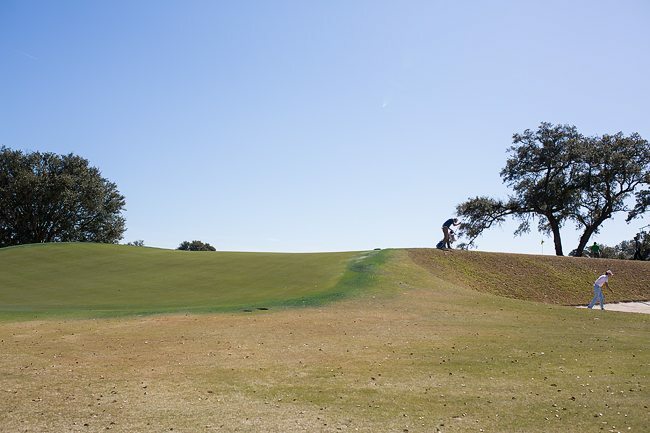 Most of the greens have run-offs on all sides, as well as tiers and slopes that divide the large greens into smaller portions. 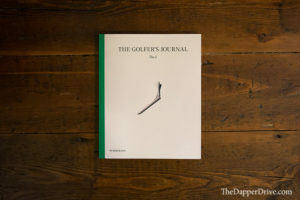 This means a well struck approach on the wrong side of the hole is likely to find its way into a collection area or bunker. Precision is a must. 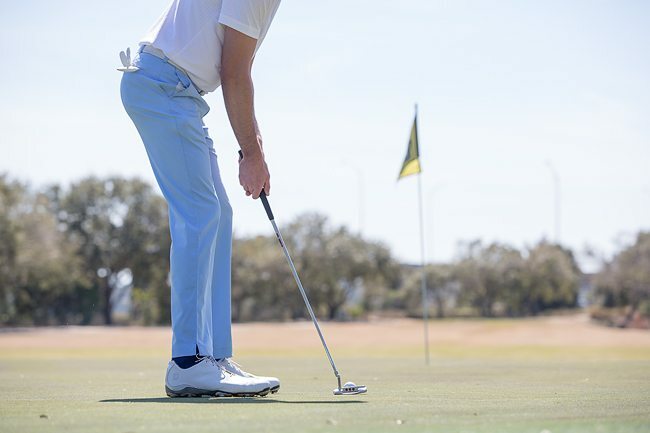 Short-siding yourself will leave a delicate pitch and more than likely require a moderate length putt being holed to secure par. The green side bunkers are truly hazards out here, and in more occasion than one I found my 6’5” fame well below the top lip of the bunker! 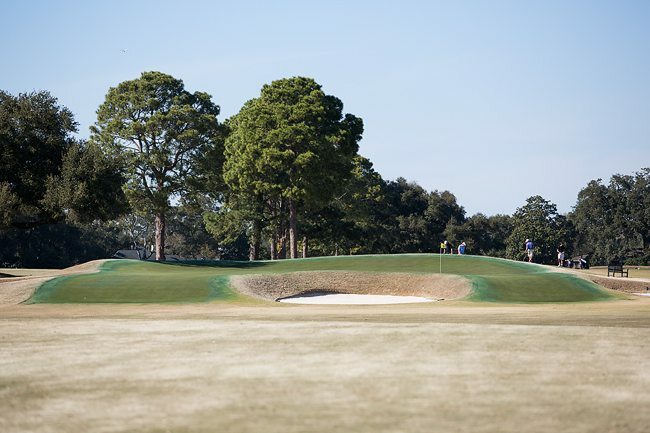 Particularly menacing are the bunkers on the par 3 11th hole, which sit about 10′ below the surface of the green. Avoid at all costs! 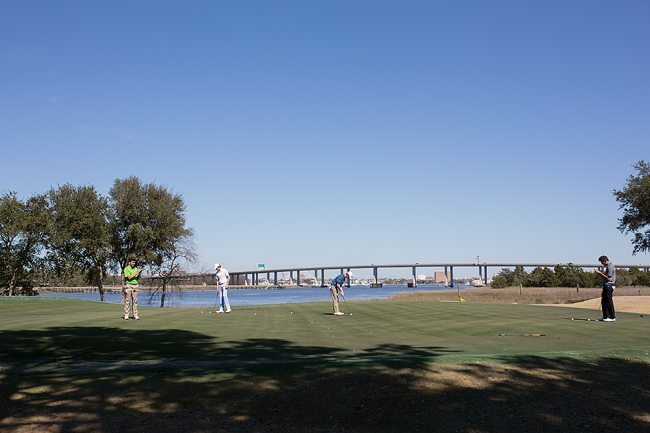 A few of my favorite holes include the 405-yard par 4 8th hole, which is one of the more demanding driving holes and also provides great views of the Ashley River and the Don Holt and Ashley River bridges. 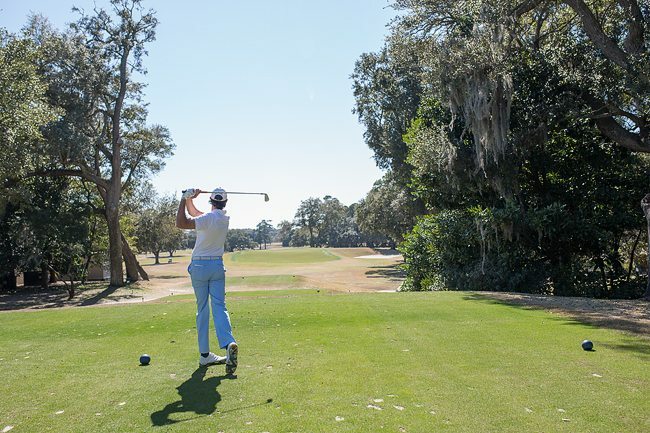 Making the turn, the 177-yard par 3 11th is a fun and challenging hole, while the lengthy 464-yard par 4 16th requires two solid shots into a unique horseshoe shaped green. 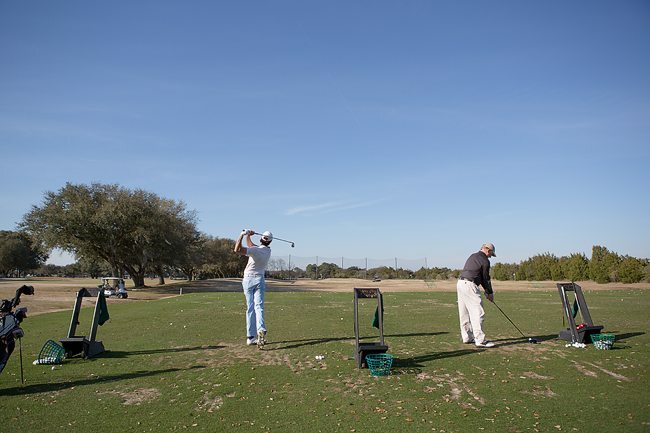 Accompanying the course are a picturesque driving range complete with a classic low-country backdrop, two practice putting greens, a pitching green and a beautiful clubhouse with pool, gym, and most other amenities any member could envision. 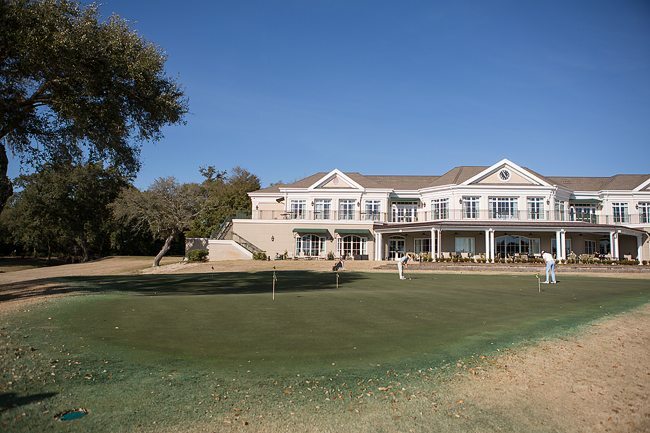 The back terrace of the clubhouse is ideal for grabbing a post round bite and watching other golfers finish their round at the long 482 yard par 4 18th. 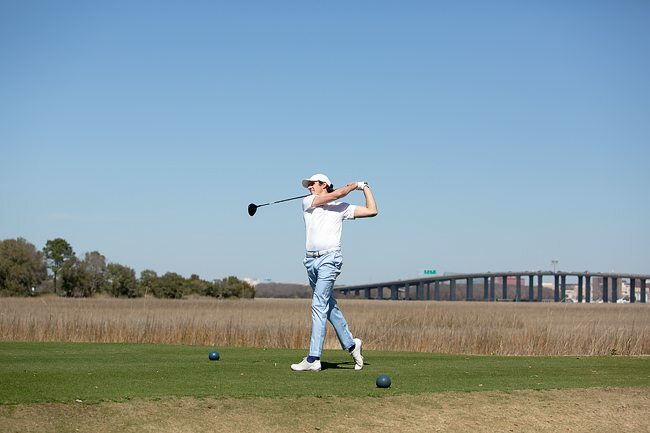 The Country Club of Charleston should certainly be on your radar for great Charleston golf courses. 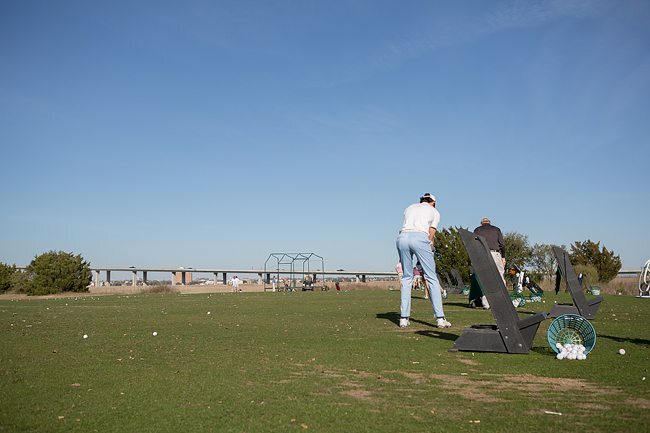 You will be treated to a classic design with great views. 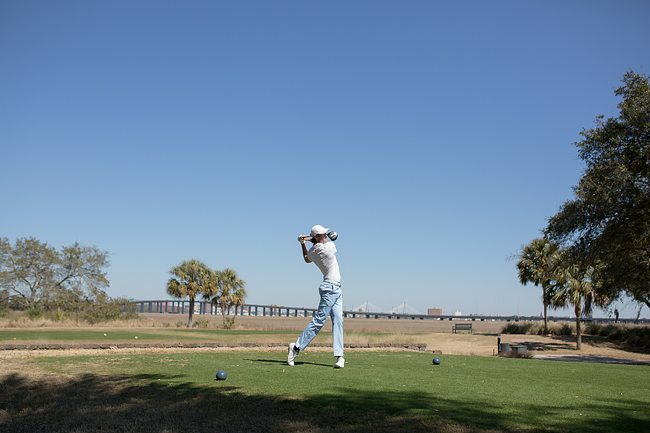 And who knows, maybe you’ll even see PGA Tour player Russell Henley working on his game here in his hometown!